Airclean Environmental inspect and analyse mechanical heating and ventilation systems to ensure they are working to their design capabilities, and providing building occupants with clean safe air. Ventilation systems in buildings are designed to supply, extract and condition air giving occupants a good working environment. Supply air systems bring fresh air to occupants of the building. The amount of air that should be brought into a building is set out in Building Regulations Part F.
If insufficient air is brought into the building occupants are likely to feel symptoms such as tiredness or lethargy as oxygen levels decrease and carbon dioxide levels increase within the building. Poor ventilation can also be directly linked to the symptoms of Sick Building Syndrome. Extract air should be designed to work in harmony with supply air, removing dirty air from the building. Extract air systems should remove air from a point in the building to provide good air movement throughout. 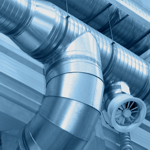 B&ES TR19 – Internal Cleanliness of Ventilation is the accepted guidance for the maintenance of ductwork in a building. Adhering to this guidance ensures that there is not a build up of particulates in ductwork which can lead to inefficiencies in air conditioning, or dirty air being supplied to occupants. Duct work can be inspected at various points throughout the system to ensure that it is meeting the minimum requirements. Recommended Air change rates are set out in Building Regulations Part F. Supply air rates can be measured in the ventilation system to ensure sufficient air is being supplied to occupants in each room of a building. 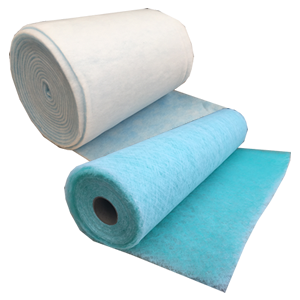 Air filters are commonly replaced for cheaper incorrect filters leading to inefficiencies in filtration. 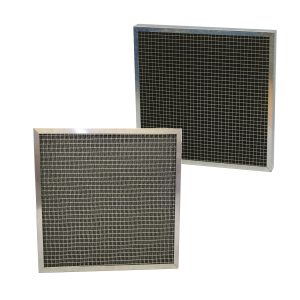 An Air Filter inspection checks each bank of filters in a supply or extract system, ensuring that the correct filters for the application are being used. Air filters should meet the new EN779:2012 standard to ensure that particulates are removed prior to reaching occupants ensuring good indoor air quality.